Welcome to the Official Web Site for Ruin Mist: The Lost Ages by Fantasy Author Robert Stanek. Ruin Mist is the fantasy world created by Robert Stanek. The name "Ruin Mist" is the common language translation of an elvish word, which means "the lost ages." 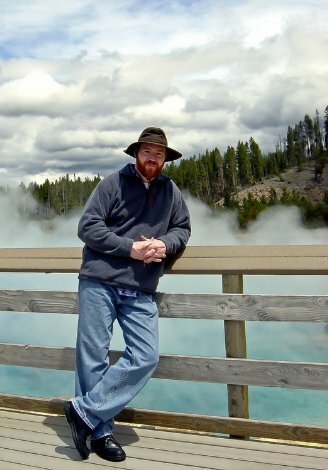 Robert Stanek grew up in Wisconsin and it's there his love of reading and writing was born. The books are available in print, ebook, and audio. 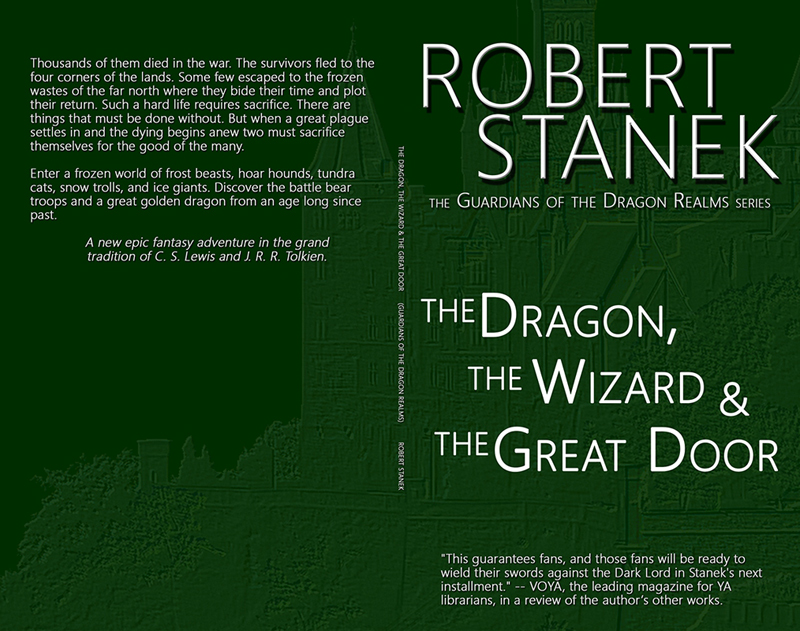 Look for the Ruin Mist books and other books by Robert Stanek at your favorite stores, online and at your library. Robert Stanek has been writing stories for many years. Though he's always been a writer at heart, Robert Stanek never set out to be a writer. When he said goodbye to high school he didn’t know what he wanted to be. He knew wanted to do though: He wanted to see the world--and so he set out to do just that while serving his country in distant lands. Robert Stanek served in Asia, lived in Japan, and Japan is where he finished his first full-length novel. The year was 1986. He served in Europe, lived in Germany. He served in the Pacific, lived in Hawaii. Those experiences—peoples, cultures, heritages, and much more—live in his writing. On Facebook, Robert Stanek posts regularly to his author page. You'll find him on twitter @robertstanek. His blogs include: Books & Things and Read Indies. Find his blog archives here. Also find Robert Stanek's books on Amazon at http://amazon.com/author/robertstanek. Special Feature: Robert Stanek's 150th Book. Read all about his life, his books, and more. 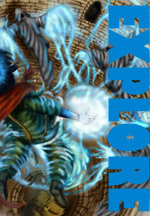 Looking for action and adventure? Want to explore imagined lands? Subscribe now and receive Robert Stanek's newsletter for free, plus special extras only available to fans, like advanced previews and free stuff. Shopping, Dragons, Independents, Oh My! Dark change is sweeping the lands of Ruin Mist. An ancient evil has returned from the dark past. The dark forces gather. War comes to the lands. Wondering what books Robert Stanek has written lately? 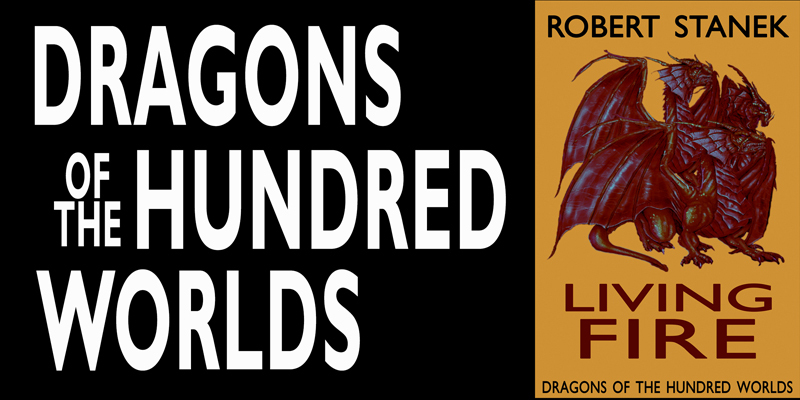 New releases by Robert Stanek include The Dragon, the Wizard & the Great Door (Guardians of the Dragon Realms) and Living Fire (Dragons of the Hundred Worlds #2). Thousands of them died in the war. The survivors fled to the four corners of the lands. Some few escaped to the frozen wastes of the far north where they bide their time and plot their return. Such a hard life requires sacrifice. There are things that must be done without. But when a great plague settles in and the dying begins anew two must sacrifice themselves for the good of the many. 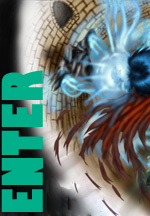 Enter a frozen world of frost beasts, hoar hounds, tundra cats, snow trolls, and ice giants. Discover the battle bear troops and a great golden dragon from an age long since past. 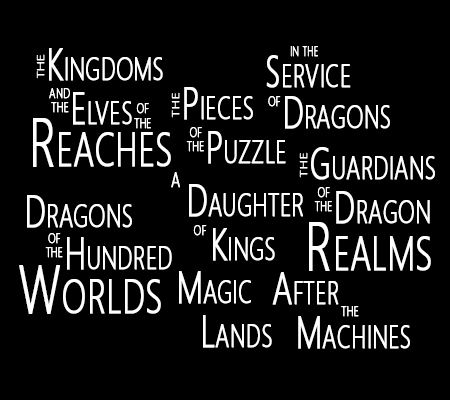 Enter an age of titans, dragons, and heroes! For thousands of years the ageless dragons have ruled the hundred worlds, conquering all who oppose them while raising those who bring them glory. But in remote Karthold, Rastín struggles to keep alive the memories of his fallen people and fulfill the wishes of his ailing father. For an Alv, Rastín is young. He has no great power to help him, no true magic to light his way and keep him safe. Yet as his life turns increasingly grim, Rastín must find the courage and resourcefulness to befriend his most savage enemies if there is to be hope for him and his people. To restore the honor of his people, Rastín will rise from slave to gladiator and from gladiator to emperor. This is where his story begins. "[A] complex tale...sure to attract fans of graphic novels and classic Tolkien alike....Stanek will likely draw a [strong] following....This cliffhanger guarantees fans, and those fans will be ready to wield their swords against the Dark Lord in Stanek's next installment." "The world of literary fiction featuring elves and fairies is ripe with a multitude of great authors... [One such author] is Robert Stanek and his The Kingdoms and the Elves of the Reaches series." Learn about the Movie and author Robert Stanek. Get the book now: Amazon - BN - BAMM. Get Ruin Mist gear now: Go! (c) 2011 Robert Stanek. All Rights Reserved.